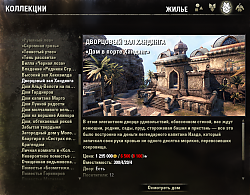 Supported languages: English, German, Russian. 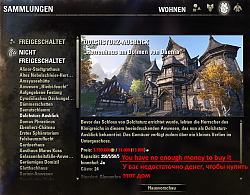 - Fixed data for one house. - Added missing houses. 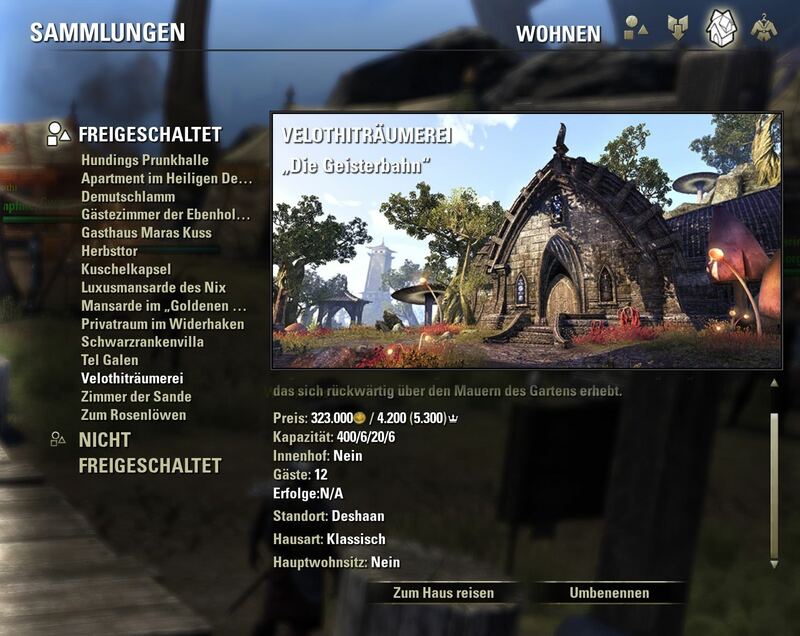 Thanks to Tonyleila/Faunter. - Fixed some errors for de client. - Added check for missing data in database. - German translation. Thanks to Tonyleila. 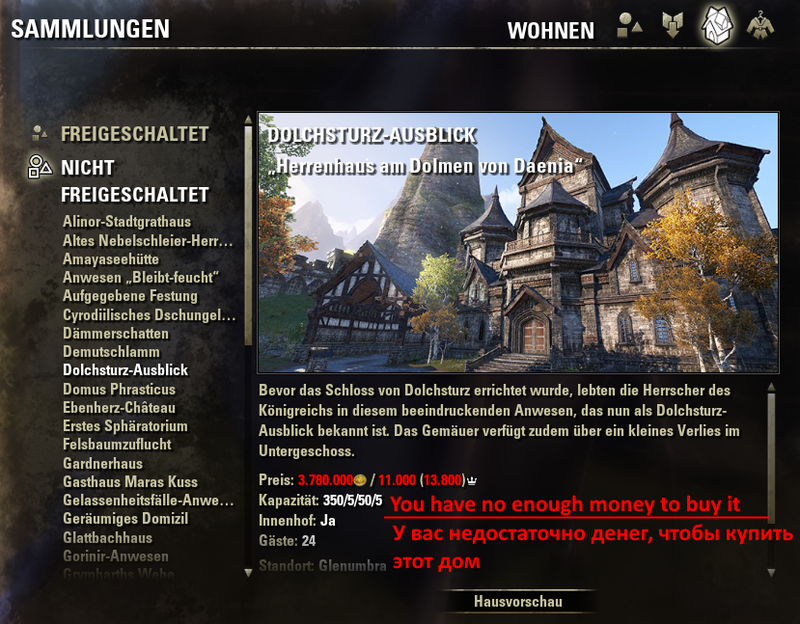 - If you have no enough money (current character + bank) or crowns, price will be red. Seems to be every time for me and every char that has it turned on. Same for me since a few days even though it worked perfectly for months. 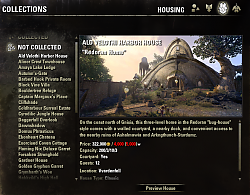 any chance for sorting houses? ie. size/class, or zone ? 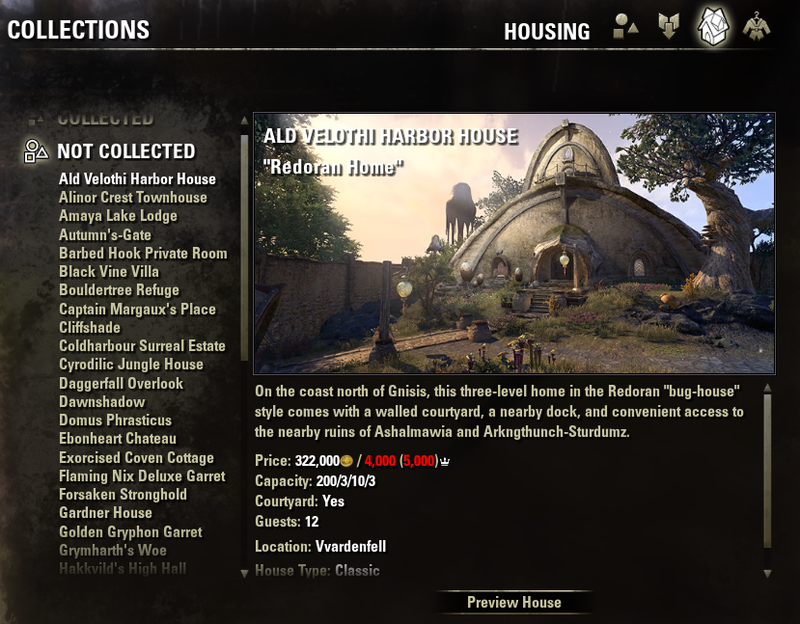 The Collected houses, is there a way to show the capacity you have left in the house? Last edited by MartinL : 10/08/18 at 03:25 AM. Last edited by Tonyleila : 10/03/18 at 07:59 PM. 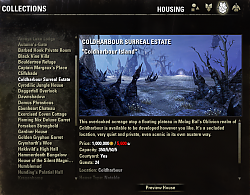 Re: Where to see info on houses i own? 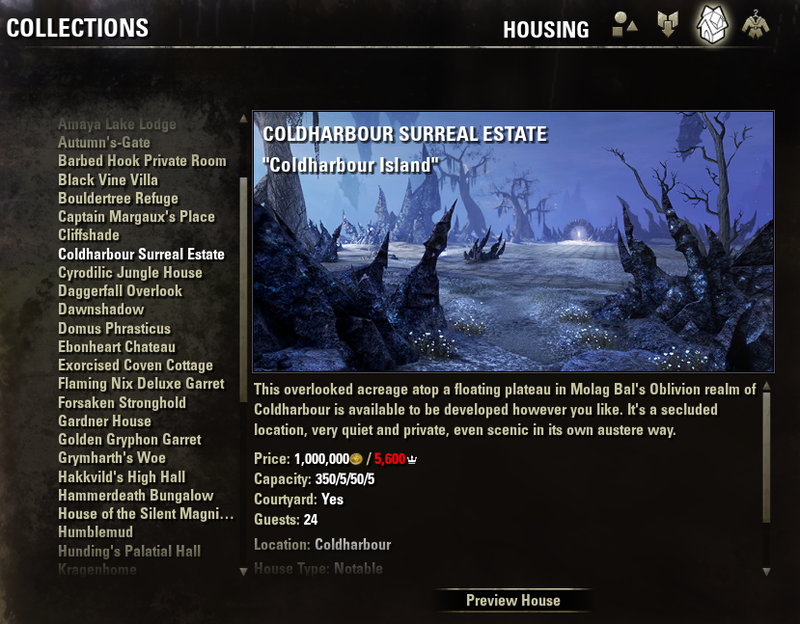 In collections, for houses i own, I only see the extra info (price only) associated with new houses? 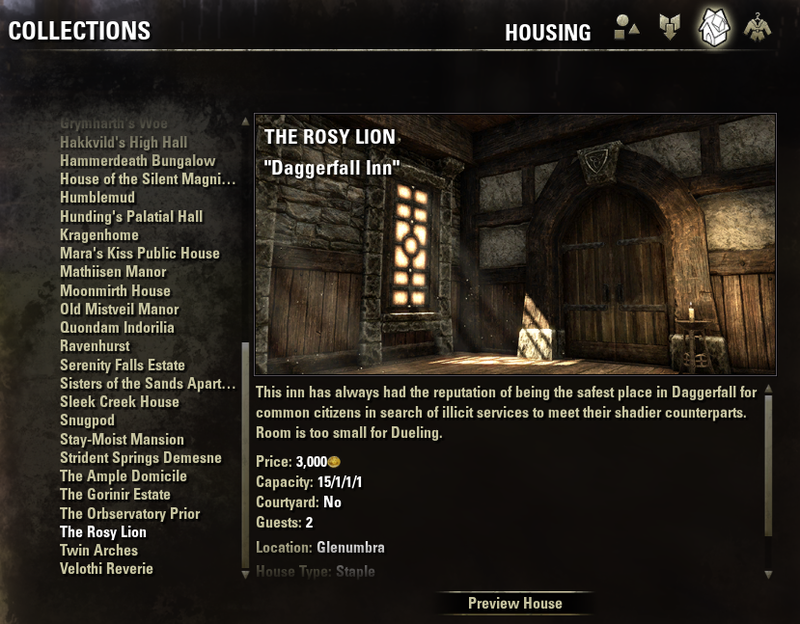 I have not visited all my houses since downloading the add-on, but for my main house I have. 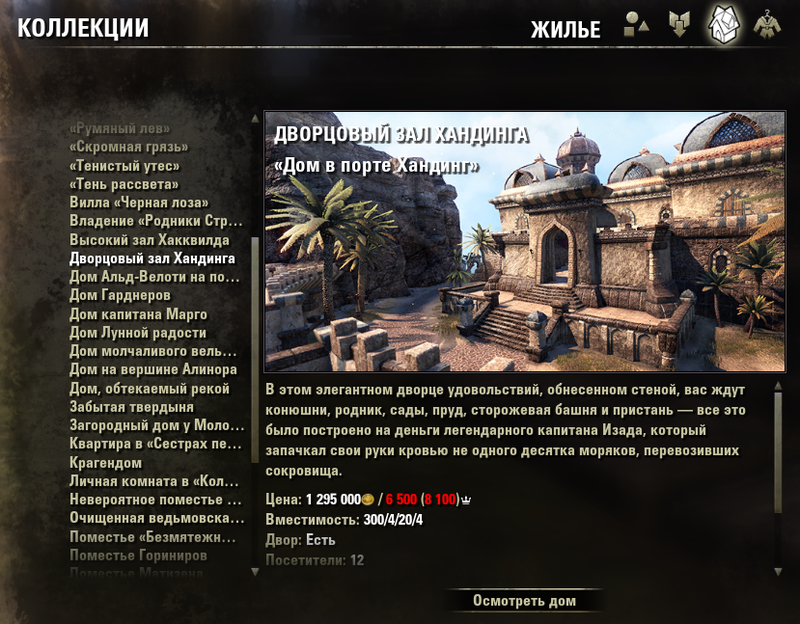 I do not see anywhere the info on how many items have been placed. 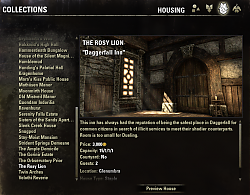 Where to see info on houses i own? Last edited by Tonyleila : 09/13/18 at 08:56 AM. Last edited by KiriX : 09/13/18 at 05:29 AM. Can confirm it works in German now! But I'll try to keep it in my mind for the future.